Through engaging short stories, inspirational reflections, Scripture, creative ideas, and thought-provoking questions, Mothering by Heart encourages mothers to relax, embrace their children's individuality, and rely on God for the wisdom they need. Forty chapters including Lord, Give Me Patience, Fingerprints on the Wall, and Listen with Your Heart will inspire moms to make deep heart-connections to their heavenly Father and their kids! 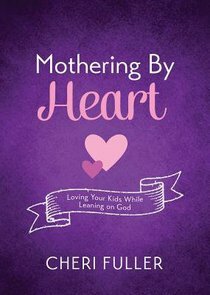 About "Mothering By Heart: Loving Your Kids While Leaning on God"